The Senate President, Bukola Saraki, and Governor Abdulfatah Ahmed have both reacted to the Saturday�s by-election in Kwara State won by the candidate of the All Progressives Congress (APC). 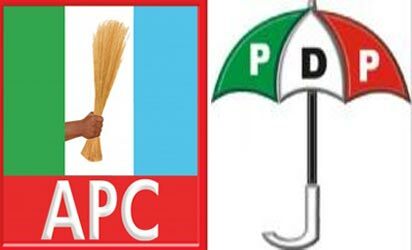 The APC candidate, Raheem Olawuyi, was on Saturday declared the winner of the Ekiti / Irepodun / Isin / Oke - Ero Federal Constituency by-election held across the four councils in Kwara State. In a statement sent to PREMIUM TIMES on Saturday, Mr Ahmed described the House of Representatives by-election as a contest between the PDP and security agents rather than among political parties although he expressed confidence in his party's victory. "We had INEC officials complaining about their own safety - and PDP supporters were brazenly intimidated, which resulted in low turn out of voters," he tweeted on his verified Twitter page. "The public should note that today�s #KwaraByElection was simply between PDP and security agents plus APC. This was due to the heavy deployment of police, soldiers and other security agents who gathered to support APC and harass PDP leaders and supporters. "It is important to reiterate that ahead of the 2019 elections, such open displays of intimidation are sending wrong signals. Our democracy is being undermined with this misuse of our nation's security apparatus. #KwaraByElection." Political commentators say the election is a test of the two major political parties� strength in Kwara ahead of the 2019 elections.